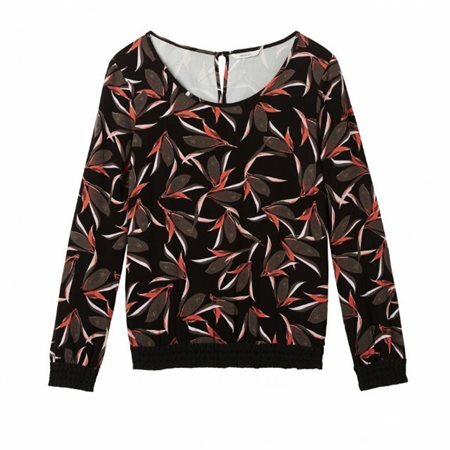 This top with a beautiful leaf print in this seasons colours really stands out. The elastic smock details on the hem and cuffs gives the top a romantic vibe. The top has a keyhole button closure on the back. Just pop on a pair of classic trousers and some heels.